I think the N got the grade it deserved as I personally thought it deserved either a C or C-. The problem I & many others seem to have with the N is the inconsistency which plagues the line. When things are going well, you feel pretty satisfied with your commute. The unfortunate part is you never know which N you will get. 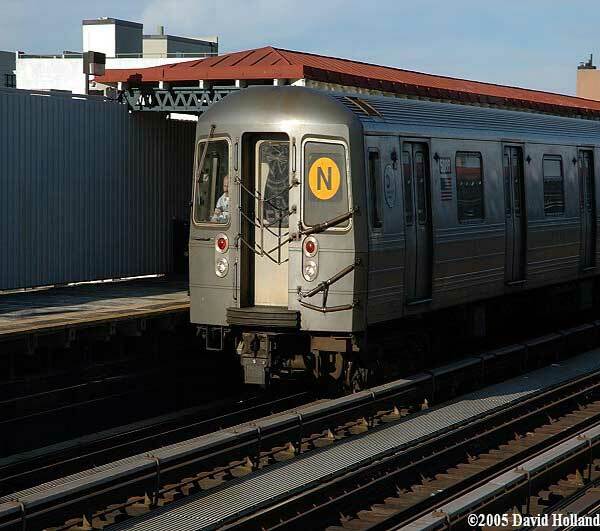 Will you get the N that is consistent & provides good service from Astoria to Coney Island or will you get the N which many feel stands for “never” as never showing up? 6,384 feel the latter of the two is what they have come to expect. Considering this is the case, it is no surprise that “Reasonable wait times for trains” is the #1 priority for riders. To be honest, I wouldn’t have ranked “Minimal delays during trips” as the second biggest priority. In my years of riding the N, I felt the biggest issue outside of wait times was actual space on the train. It is a rare thing to comfortably get a seat on the N during any part of the day. As one would expect, riders closest to the terminal on either end usually don’t face as many seating issues. While “Adequate room on board at rush hour” was the #3 priority, I think it deserved the #2 spot. Like the “Adequate room on board at rush hour” & “Minimal delays during trips”, both announcement categories earned a D+. The announcement issue is one I expect to improve by leaps & bounds when the line is filled with the new R160B subway cars. Hopefully these new cars will also help improve service with more reliability & faster service. In the end, it is just about to impossible to argue with how the 6,384 riders graded the . I am really curious to see what the line will grade out after having its entire fleet made up of R160B cars. Lets hope that this coupled in with its own line manager helps move the N forward since change is desperately needed for the riders who depend on it!